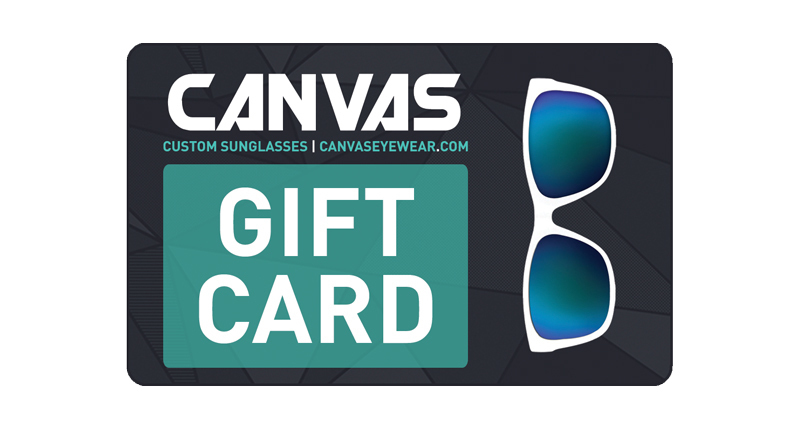 Give the gift of custom sunglasses with a gift card from Canvas Eyewear! Each gift card allows the lucky recipient to design one pair of custom sunglasses, and our gift cards never expire - talk about the perfect present! Our custom sunglasses gift cards are delivered electronically, and we even offer custom gift codes that you can choose - once you place your order, our team will reach out to you to determine your custom gift card code!